I have recently completed this illustration in collaboration with street photographer James Bent, of La Mode Outré. I love his images and the fact he dedicates time to bringing so many illustrators in to illustrate them. You can see the interview about me and my work, along with this illustration here. And do take a look at the other illustrations whilst you're there. There are some beautiful pieces and some recognisable names too! 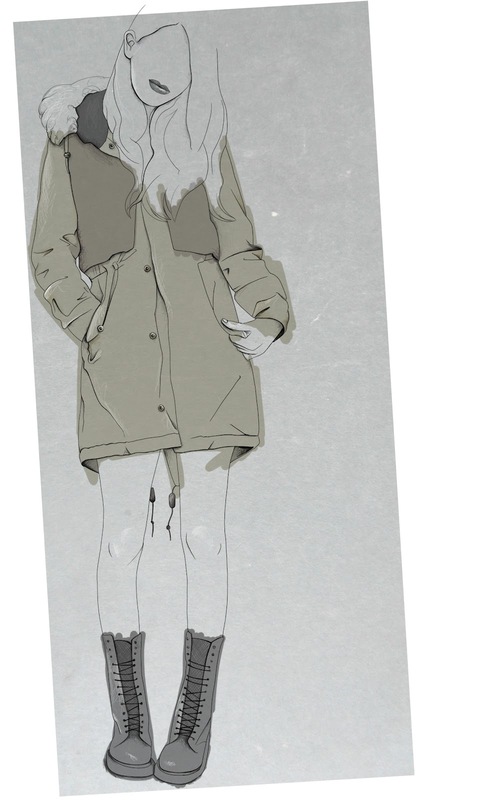 Erica Sharp and Natsuki Otani have both submitted stunning illustrations to the project. I found you from the blog,"LA MODE OUTRE".I was asked to snap the other day. I was anxious to comment because it was very nice illustrations. Thank you so much for your kind words about my illustration! I shall keep an eye out for your photograph. I love your blog, amazing style!